Strong earnings supported by strong revenue. Wah Seong’s 2QFY18 reported earnings grew by +135.3%yoy to RM21.0m. The strong earnings year-over-year is mainly due to the strong revenue recognition from its ongoing projects, where 84% were from the O&G segment. 6MFY18 normalised earnings of RM41m (excluding gains on disposal of assets) however, came in below our and consensus expectations, accounting for 36% of full year earnings estimates respectively. Oil & Gas. Segment revenue and earnings expanded by +131%yoy and +146.8%yoy respectively largely attributable to the continued execution of Nord Stream 2 project. Renewable energy. Segment revenue and earnings both recorded an increase by +24.8% and +6.6%yoy respectively mainly due to higher revenue and higher profit margins registered by the boiler and steam turbine businesses. Industrial Trading & Services. Segment revenue improved marginally by +3.3%yoy whilst segment increase by >100%yoy due to improved performance in the construction equipment and HDPE pipe manufacturing businesses. Current orderbook at RM1.93b. 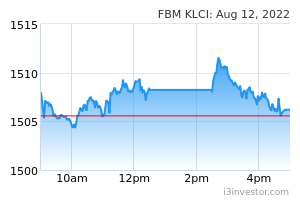 The company’s current orderbook is at RM1.93b, where RM1.58b consisting of O&G projects, RM289.5m for renewable energy and RM57.9m for Industrial trading and services. Impact on earnings. Given the uncertainty over large project pipelines locally and also the margin compression for current jobs at hand, we are revising our earnings forecasts for FY18 and FY19 downwards by -9.7% and -9.2% respectively. Maintain NEUTRAL. 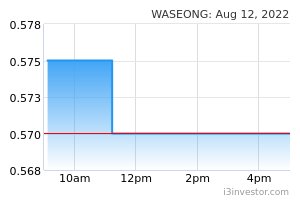 We are maintaining our NEUTRAL stance on Wah Seong with a revised target price of RM1.30 per share. Our TP is premised on PER19 of 9x pegged to EPS19 of 14.4sen. Key downside risks include: (i) concentration risk on O&G jobs; (ii) delays in key local projects and; (iii) orderbook replenishment risk.